"The history of the Sopwith biplane that came to have the quaint name of One-and-a-half Strutter includes two unusual features." No. 121 in the 'Aircraft in Profile' series. 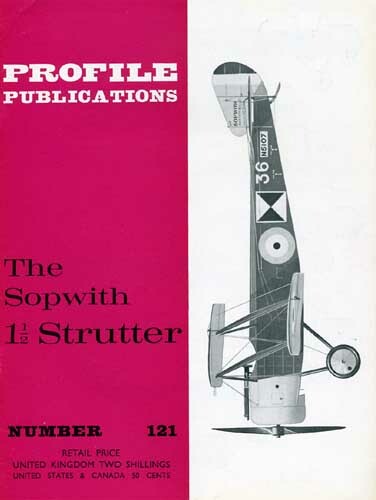 Detailed description of the design, development and operational history of the Sopwith 1 1/2 Strutter, a British single- or two-seat multi-role biplane. Well illustrated with colour drawings by R. Ward and P. Endsleigh Castle, also many black and white photos.